A much-loved dog from North Shields in Tyne and Wear has won a national award for being an excellent pet. 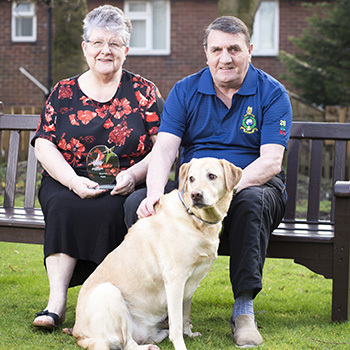 A golden Labrador named Pippa, who lives at Anchor’s St Aidans House with her owner John and Joan hall, was nominated by Scheme manager, Helen Dickie, for being a loving and faithful companion to the couple. Mr and Mrs Hall, who has lived at St Aidans house for 5 years, said: “I can’t believe that our dog Pippa won, out of all of those other pets, it’s fantastic.